Following the success of The Clubhouse in Buenos Aires, Oasis Collections has announced it will expand its members-only club network to include Rio de Janeiro. The new location will serve as a home away from home for its local and global members, as well as provide support to travellers staying in any of Oasis’ 100 hand-picked homes around the city. 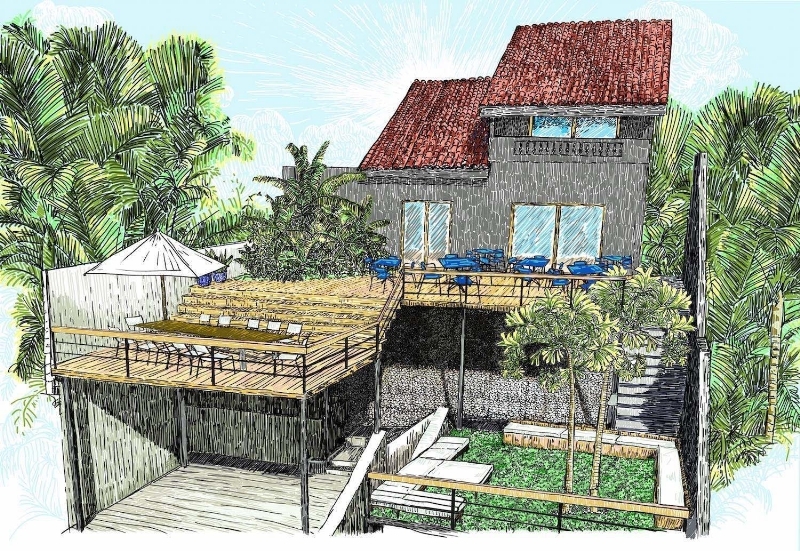 The new club, The Clubhouse, will be located on Rua Saint Roman, in Cantagalo between Ipanema and Copacabana, and is scheduled for a soft-launch in April 2015. Cultural Director Cande Salles, has worked closely with the Clubhouse team to select a diverse group of founding members which include supermodel Alessandra Ambrosio, fashion icon Alice Dellal, designers Oskar Metsahvat and Lenny Niemeyer, Brazilian musician Seu Jorge and prominent artist Vik Muniz. French architect/designer Jean-Luc Boucharenc and Parker Stanberry, Co-Founder & CEO of Oasis Collections, have led the renovation of a 1940s residence, with interior design direction by British designer Lizzie Ward, whose previous work has included set design and production for Louis Vuitton, Marc Jacobs and Mario Testino. Inspired by the carefree Carioca lifestyle of the 60s & 70s with a hint of the English gentleman’s club, the property will offer five stylish guest suites, infinity pool, two bars and a multi-level terrace with views of the surrounding hills and the Atlantic. As with the Buenos Aires location, Clubhouse Rio will host a full and eclectic calendar of events for its members, including private dinners with top local and international chefs, art exhibitions, music performances and screenings. Membership will cost roughly US$1,500 per year. Clubs in the partner network that members will have access to include not only the The Clubhouse in Buenos Aires but also The Hospital in London, The Spoke in Toronto, and the Oasis Collections in Cartagena and José Ignacio. This entry was posted in Rio News and tagged Brazil, Clubhouse, Rio, Rio de Janeiro by Critical Divide. Bookmark the permalink.